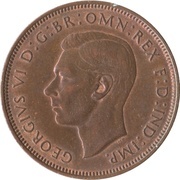 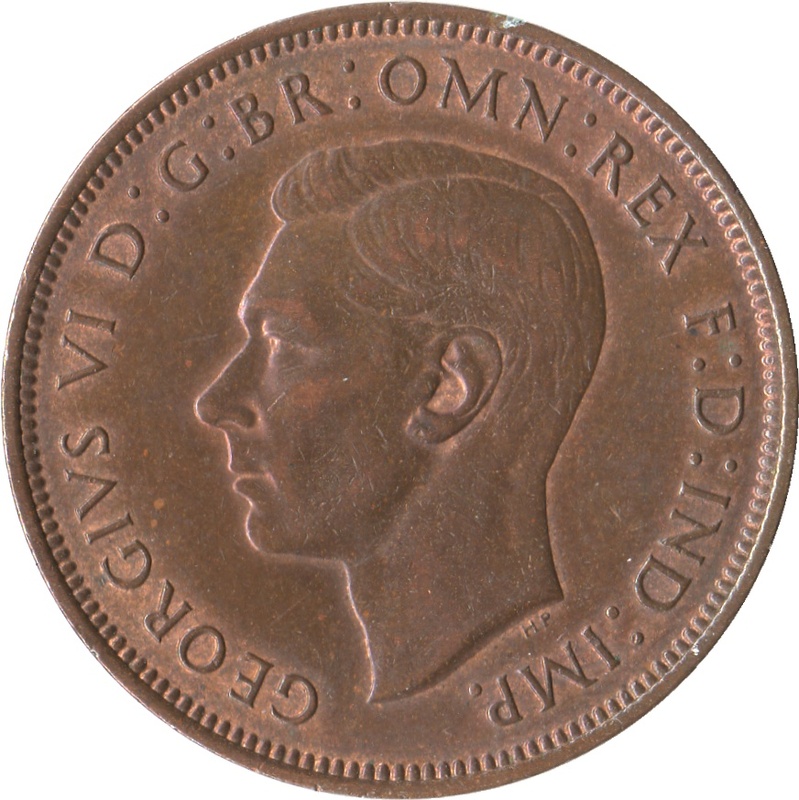 Uncrowned portrait of King George VI facing left, legend around. 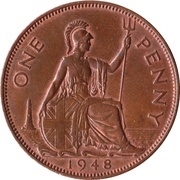 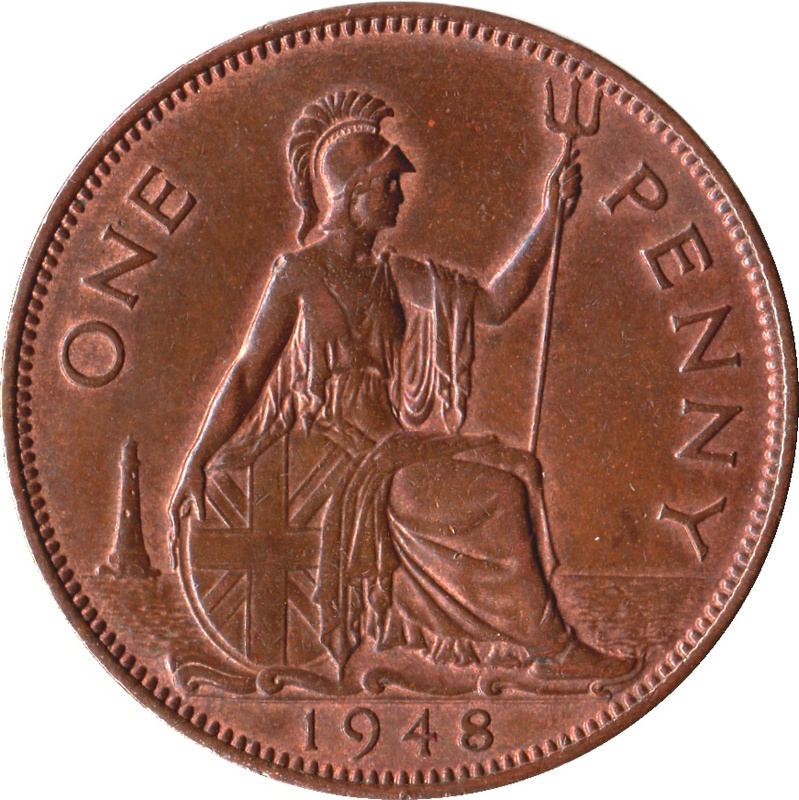 Seated figure of Britannia right, with trident in left hand and shield bearing the Union flag in right, sea behind with lighthouse to left, denomination above and date in exergue. 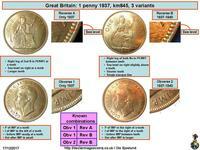 1937 dated issues: Obverse and reverse varieties exist for this year. 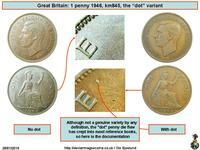 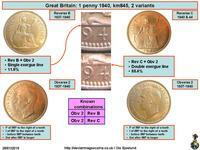 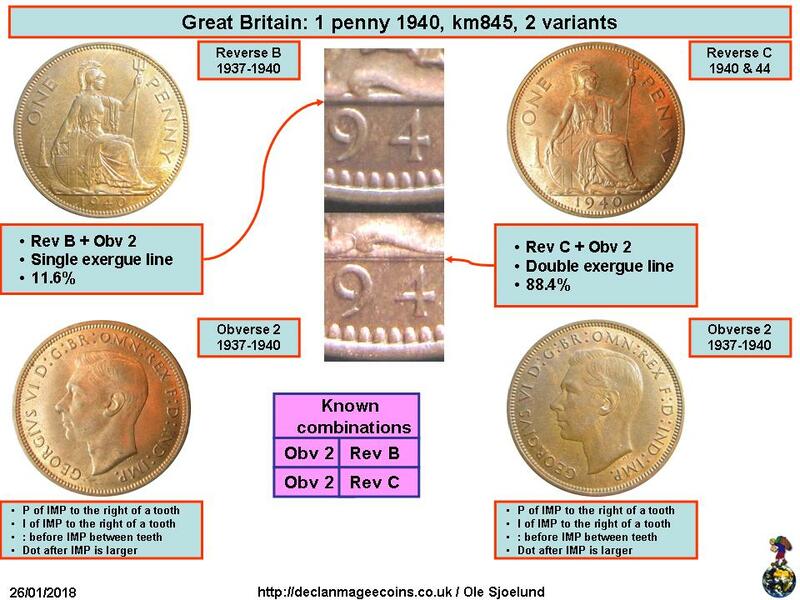 The image below shows these differences and is reproduced with the kind permission of Declan Magee Coins and Numista member Sjoelund. 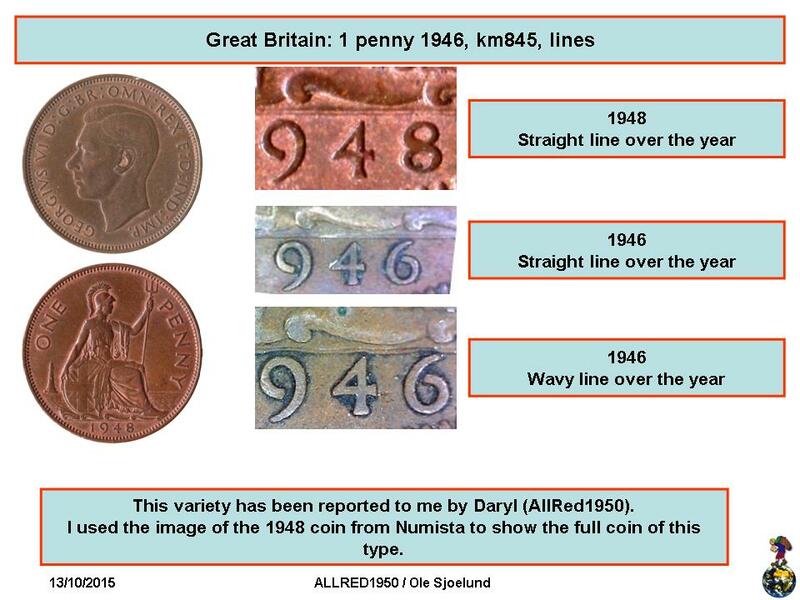 1940 dated issues: Reverse varieties exist for this year. 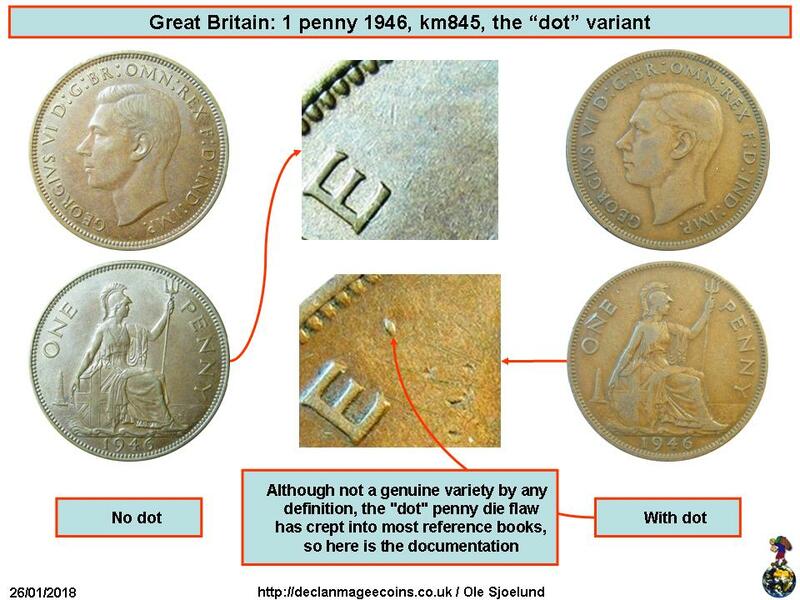 The images below shows these differences and is reproduced with the kind permission of Declan Magee Coins and Numista member Sjoelund. 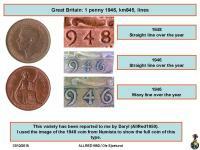 1946 dated issues: Reverse varieties exist for this year. 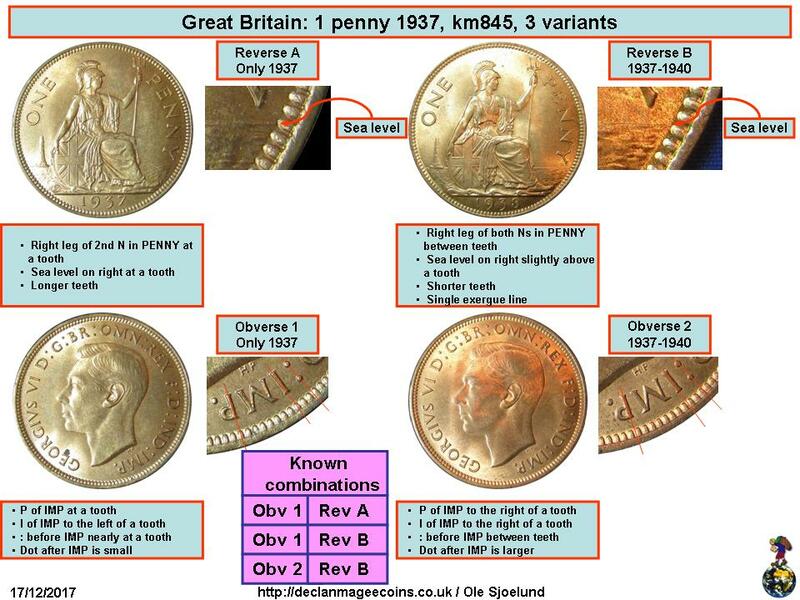 The image below shows these differences and is reproduced with the kind permission of Numista members ALLRED1950 and Sjoelund.